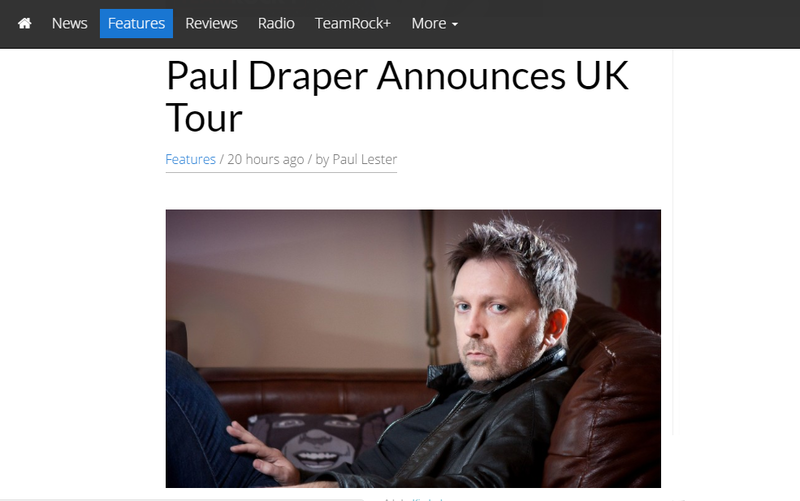 Paul reveals that his set will comprise mainly new material although there will be a few Mansun classics thrown in. Joining him in his band will be Catherine Anne Davies aka The Anchoress and Anthony Gorry (who played and toured Mansun’s final album, 2000’s Little Kix) on keyboards, Jon Barnett and Beau (both formerly of the band The Upper Room) on drums and bass respectively, with Ben Sink – his studio engineer – on lead guitar. The full TeamRock article in which Paul talks, among other things, about his current collaboration with Steven Wilson, can be found HERE .